Apartment, 2 people, 1 room/s, 1 bathroom/s, approximately 27 m², 1 floor/s, apartment on floor 1, access to the property via external stairs. Electricity according to consumption approximately € 0.18/​kWh. Final cleaning by tenants or against payment, € 35. Holiday resort tax. Linen/towels must be brought along. Deposit € 300 (in cash). Cot/​High chair/​Baby bath € 15 per stay (on order). Pet 2 animals allowed, € 20 per pet and week (please advise prior to arrival). Access/parking: cart track, approximately 20 m.
Estate (shared use with holiday guests): approximately 380 m², closed plot (fence, hedge), trees, natural surroundings. Balcony 22 m² (under trees), furnishing provided, 2 deck chairs, flattop barbecue. The agent describes this apartment as a family friendly holiday rental ideal for the summer holidays. For younger guests there is some vibrant nightlife not too far away. It is also good value for money. This apartment is located in Six-Fours-les-Plages. The nearest airport is only 34km away. 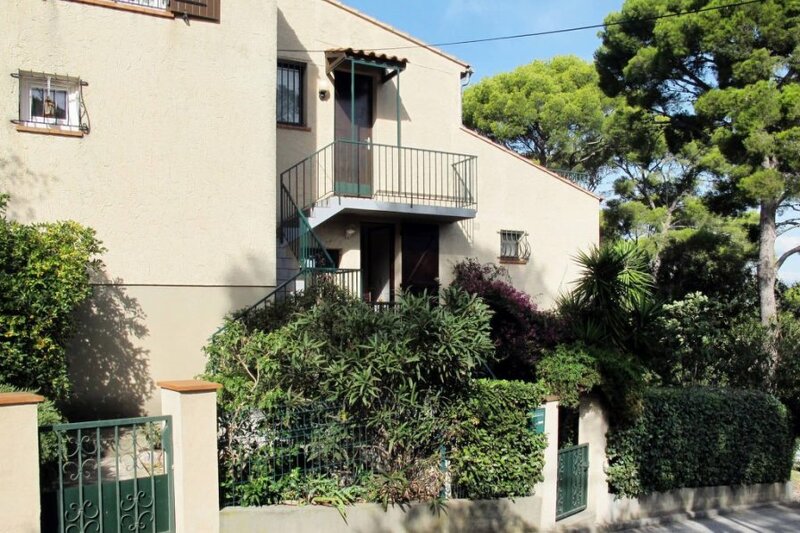 It is set in a convenient location, just 0 metres away from a beach and 5km away from the city center.